Get your dance groove on at West Bay Beach Resort in the View Nightclub on Fridays from 7:30 to 10:30 pm. 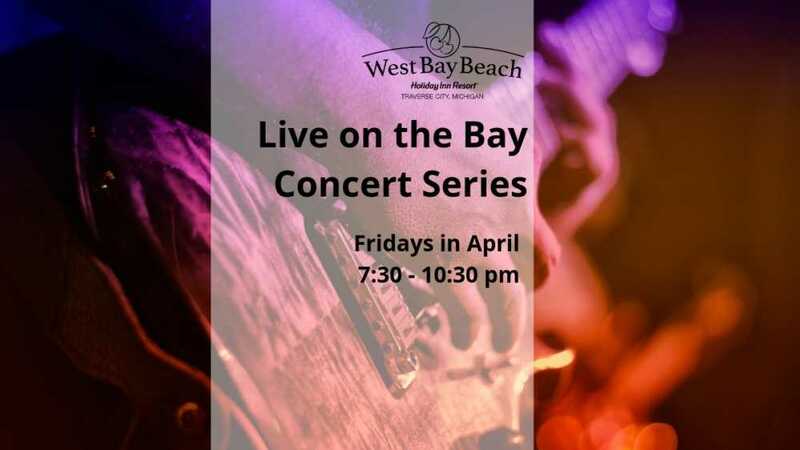 West Bay Beach provides free admission for our Live on the Bay Concert Series. Party like a rock star with VIP Bottle Service (includes one bottle of alcohol, mixers and garnishes per five guests with a private booth). Reserve your VIP Bottle Service with Ryan at 231 421 2134.